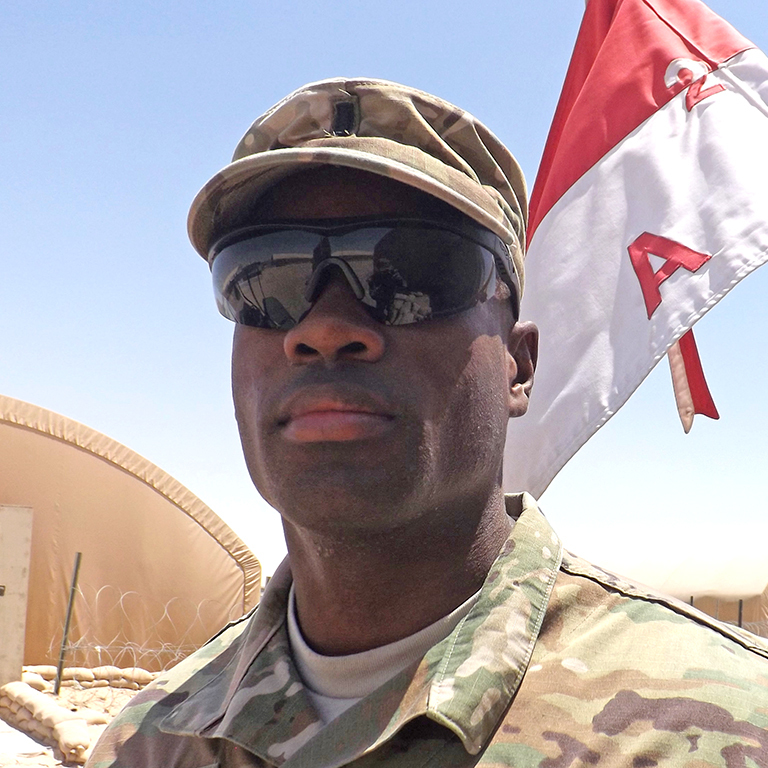 During his time in the ROTC program at IUPUI, 1st LT Siafa T. Massaley was preparing for a steadfast career in the military, one that has led him to his title of Infantry Officer and serving as a platoon leader during his deployment in Kuwait. The company’s mission is to be a Ready Reaction Force for CENTCOM, dedicated to the ability to deploy anywhere in the Middle East to supplement the fight or respond to emergencies. Massaley’s dedication to the military came from his experiences as a cadet in the Capital Warrior Battalion, IUPUI’s Army ROTC program. Upon graduation, Massaley received the honor of Distinguished Military Graduate. He was among graduates who are ranked in the top 20 percent of the national Order of Merit List, which is based on academics and performance as a cadet. With a short-term goal to earn an XO position (the most experienced lieutenant in the company) and a long-term goal of earning Company Command, Massaley says that he owes everything he has accomplished to his ROTC instructors.